One of Princess Peach's most loyal servants. Toad is yours as a delightful Super Mario Plush Mascot! 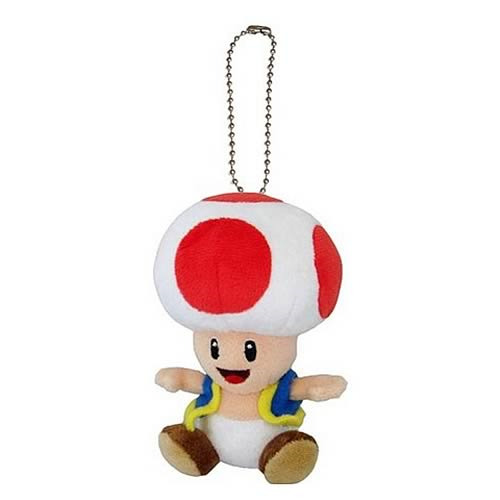 Measuring approximately 5-inches tall, Princess Peach's loyal servant Toad is yours in this delightful limited availability Super Mario Plush Mascot from Sanei. Order him right now! Toad is a fictional, anthropomorphic mushroom in the Mario series, created by Shigeru Miyamoto. A citizen of the Mushroom Kingdom, Toad is one of Princess Peach's most loyal servants and is constantly working on her behalf.